The work that you do on your computer is extremely important, so why leave potential hard drive issues up to fate? By the time your system starts behaving strangely or making odd noises, it may be too late to save your data! 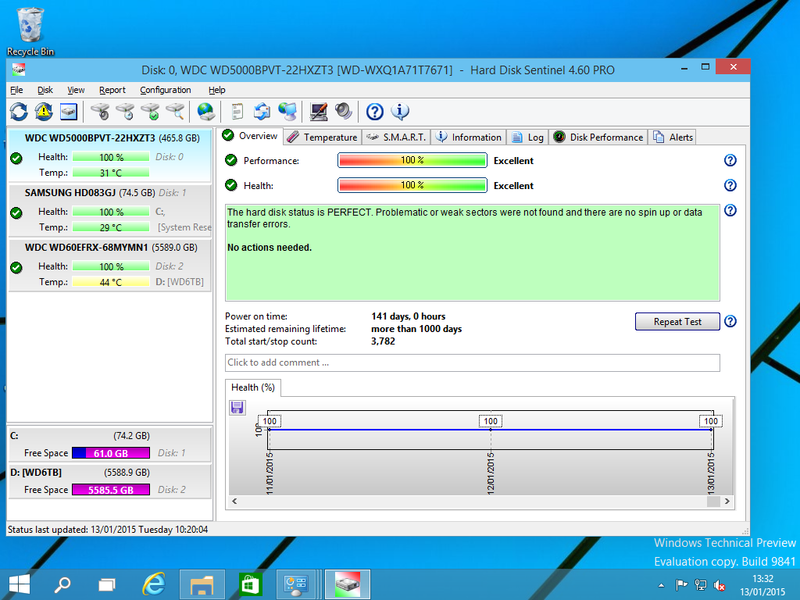 With Hard Disk Sentinel, you’ll always have a complete overview of your hard disk drive’s health, so you can spot potential problems before they result in an irrecoverable data catastrophe.